Saira Khan is the Loose Woman and former The Apprentice candidate who runs her own skincare range. 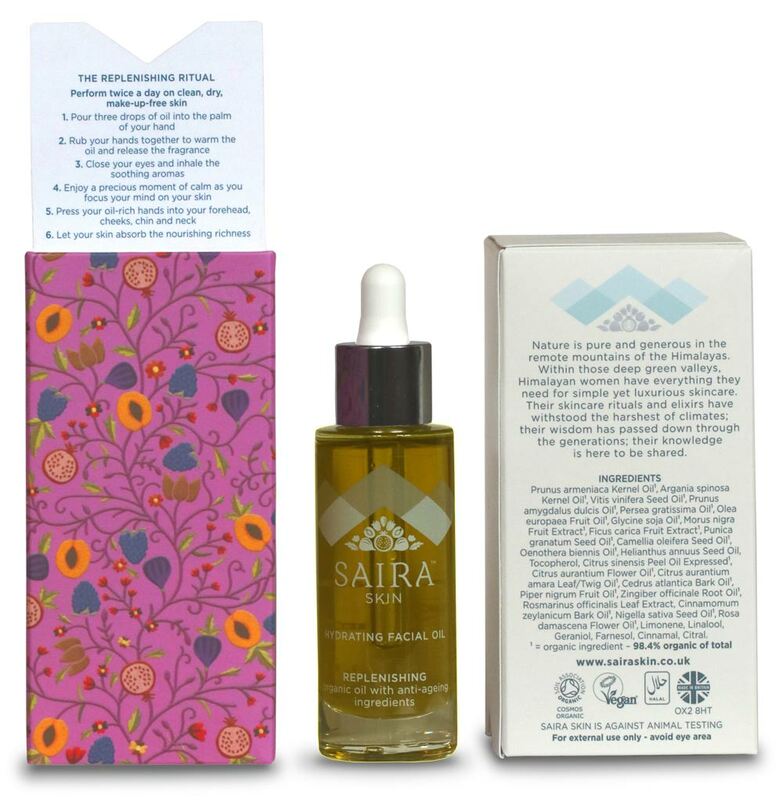 When it was time to expand the Saira Skin range and redesign the packaging, we developed the brand story, refined the application rituals, and wrote some fresh copy for a new website. Shortly afterwards, when the Hydrating Facial Oil next went out on QVC, the camera lingered over the packaging and our replenishing ritual. We couldn’t resist. For the next few days, ‘As seen on TV’ was our annoy-everyone-on-sight catchphrase. And since you’re asking: Saira is lovely to work with. Like all the best entrepreneurs she’s a good listener, open to ideas, and confident in her vision.